Galveston, Texas is the starting point for many cruises. It is an important location as cruises can sail throughout the year from Galveston to ports in Mexico as well as the Caribbean and Central America. Cozumel in Mexico is the one of the ports that becomes an important pit stop in the journey. There are few cruise liners to choose from. The prices offered will vary based on the duration of the stay and the quality and standard of the facilities and amenities availed. Choose the cruise liner that provides you with the desired itinerary of your Mexican cruise. You also have numerous choices for the duration of the cruise. If you are among those who have immense difficulty taking time out for a vacation then opt for the shorter cruises of three to four days. However for those who have time on their hands and are planning a vacation they should go for a cruise of seven days or more. Some cruise liners offer cruises from Galveston including Cozumel however Carnival focuses on only Mexican ports. Carnival cruise liners offer many different Mexican cruises from Galveston. You can go on a four, five or a seven night cruise any time of the year. Carnival also offers cruses from Galveston to Jamaica and Grand Cayman. During the seven day cruise, three days will be set for the sea to allow the guests to the onboard features. They offer a four night cruise to Mexico from Galveston which the Ecstasy ship sail. it is a small ship which has a capacity of 2617 passengers. the cruise consists of an entire day in Cozumel and two days at sea. They also offer a five night cruise which includes Progreso in the Yucatan Peninsula located in South eastern México. You then reach the beautiful city of Merida and then Cozumel. Two days are spent in the sea during which the passengers have the opportunity to explore the onboard facilities. Carnival ships offer immense facilities to enhance the travelling experience for all its passengers. They have a summer camp for children, tweens and teenagers. Royal Caribbean is renowned as the popular Voyager of the sea and is chosen by many travelers. 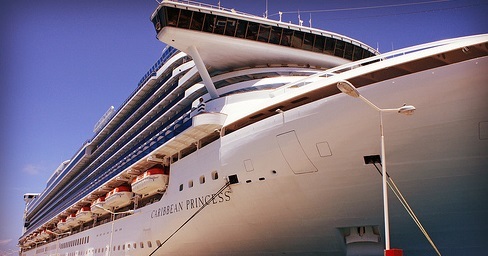 you can opt for their seven night cruise of the Western Caribbean from Galveston. Near the terminal of the cruise you will find a historic district, fine restaurants and the Texas Seaport Museum among others. Their guest mega ship has a capacity of 3835 passengers and comes with features such as ice skating rinks and their trademark rock climbing walls. This is a seasonal cruise which sails from November to April. It is also a good idea to check for discounts and special offers when deciding on the cruise liner to take you to your awaited Mexican cruise. Try to get the best deal so that you are satisfied before you make the trip. Mexican antique textiles portray the definitive styles and expressive designs inherent to the era.